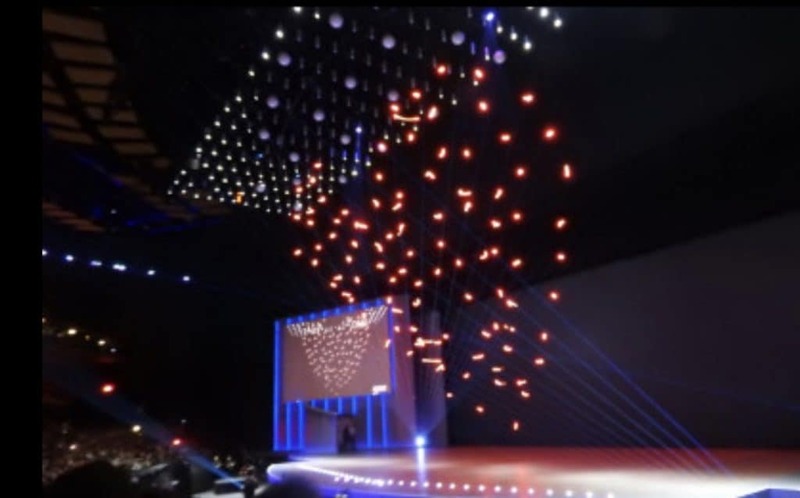 Our drones are automated and equipped with LED lights, we can display your logos, words, faces, art, shapes and more. 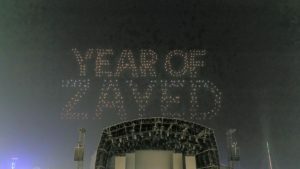 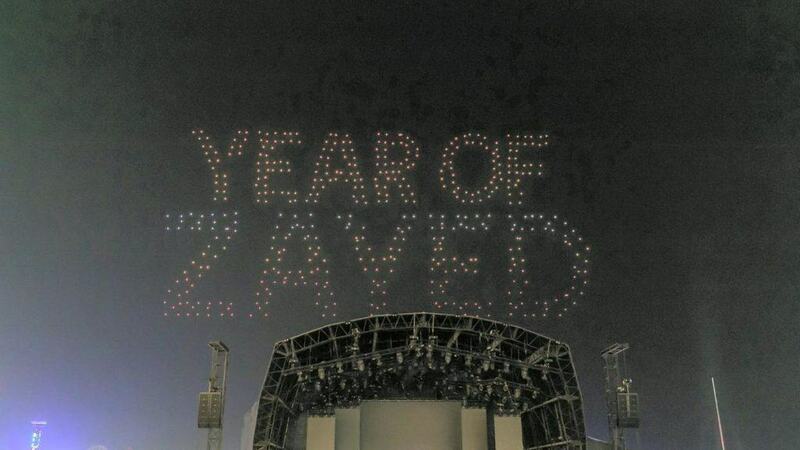 Our drone displays may be used for entertainment, marketing, promotions, product launches and even replace firework shows. 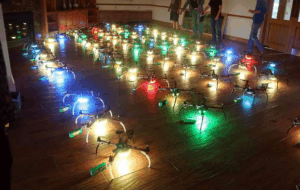 We create drone races for corporate functions. 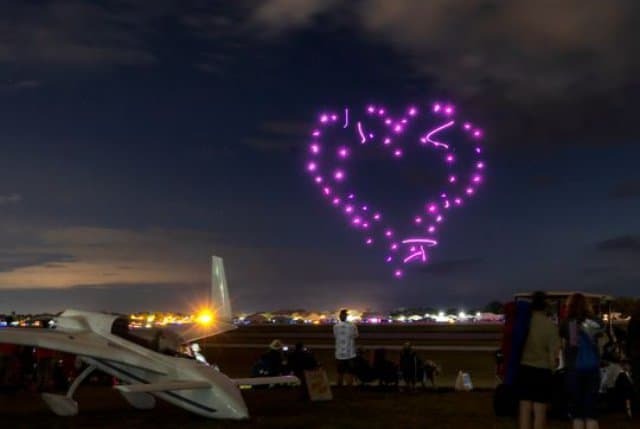 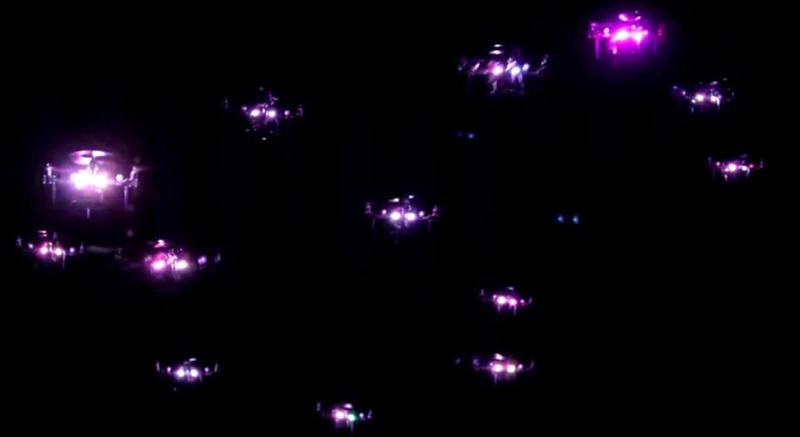 A drone light show is the use of multiple drones flying in a coordinated fashion in order to create a fantastic show even indoors! 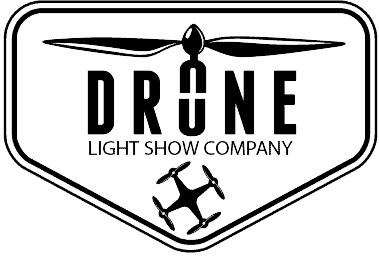 We can do drone shows indoors at convention centers, trade shows, car dealerships, corporate meetings and events, sports events and more. 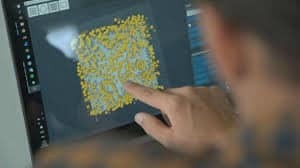 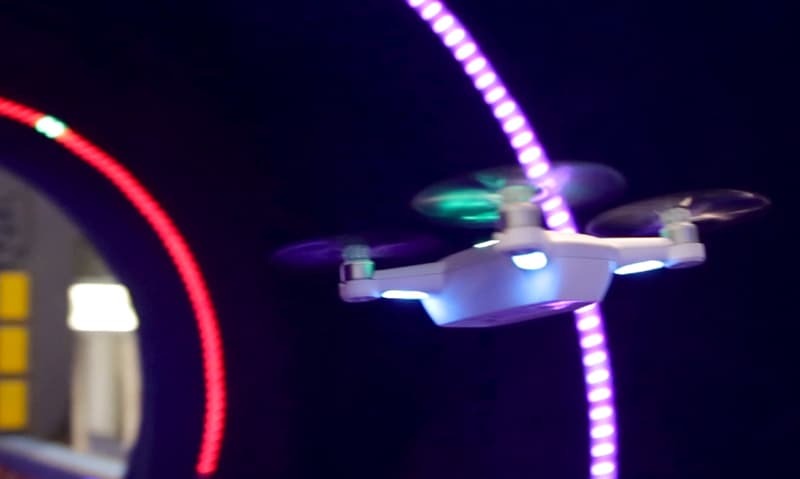 Interior drones are small, lightweight, nimble and awe inspiring to watch. 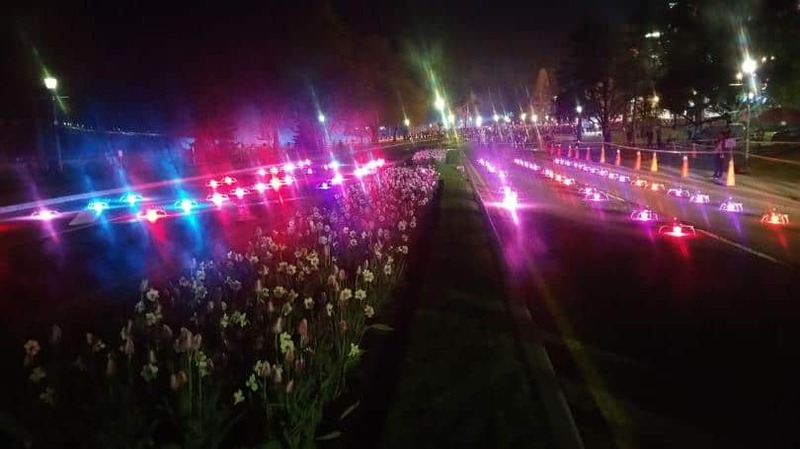 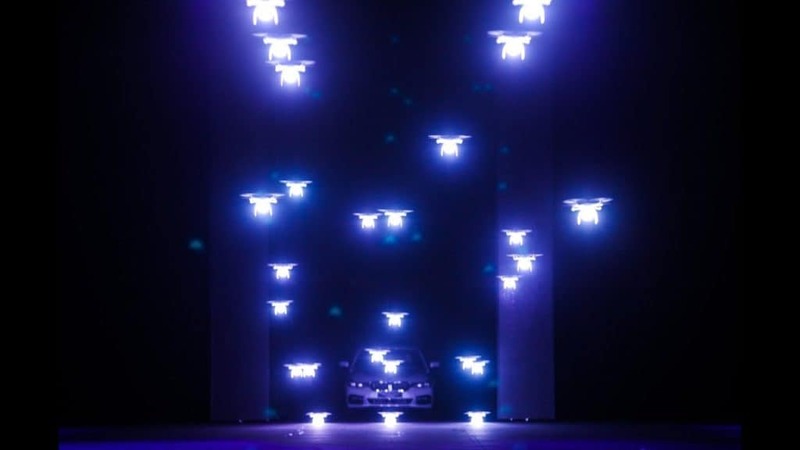 We have held autonomous drone light shows, drone related events and drone races for clients such as Kia, Toyota, CES, Red-Bull, The Los Angles Convention center, Disney, Fox Studios, Paris hotel in Las Vegas, and many other private events and functions. 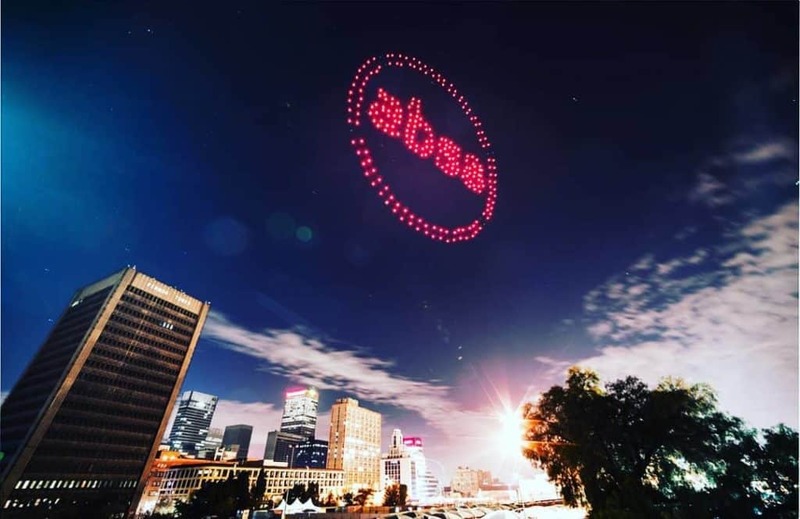 We are excited to put together a drone light show and set of drone related events with you and your team to serve your needs. 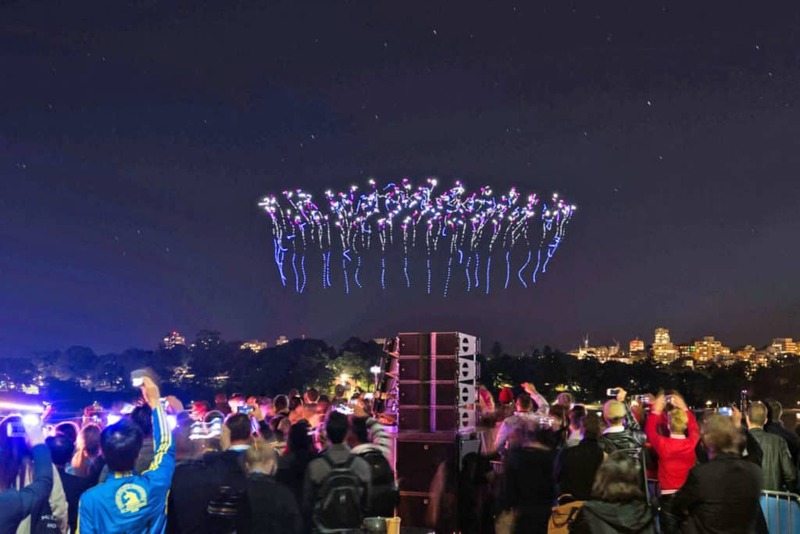 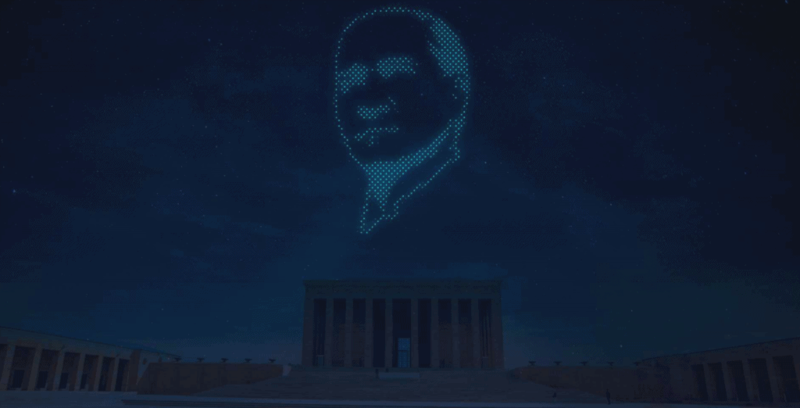 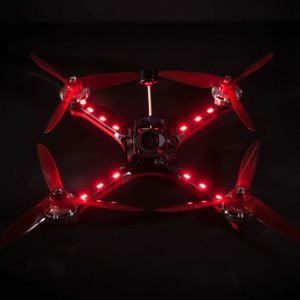 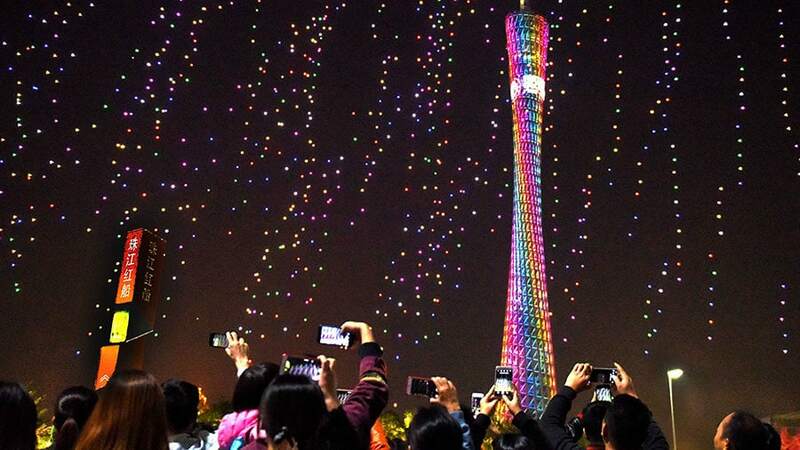 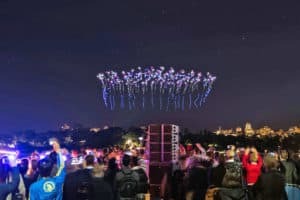 What is the price of a drone light show? 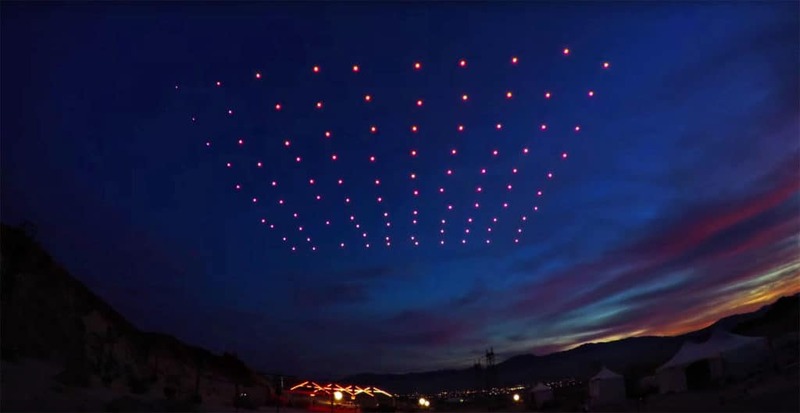 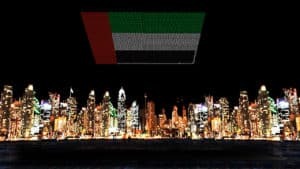 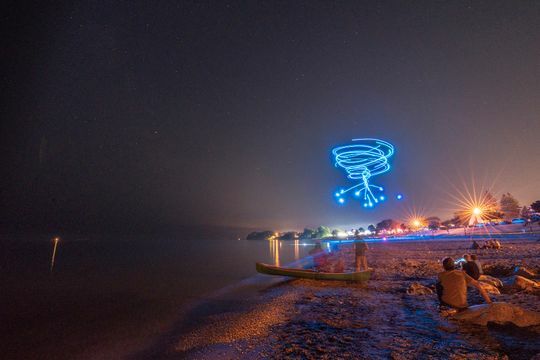 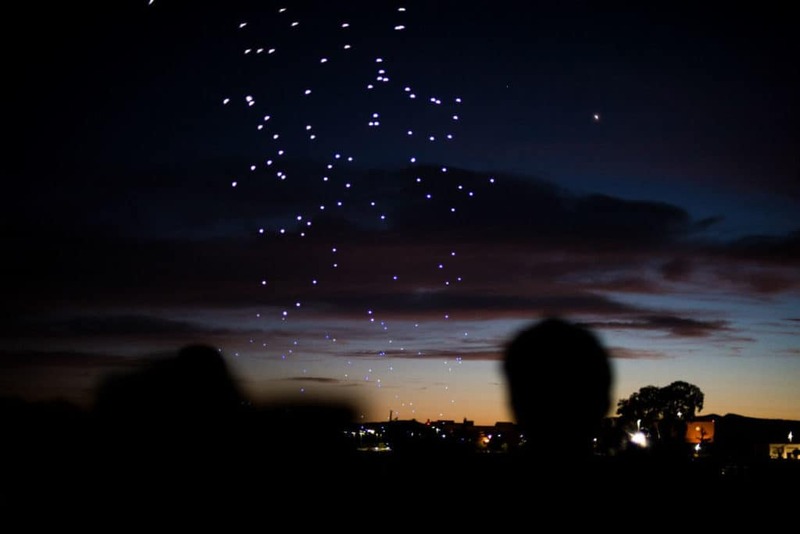 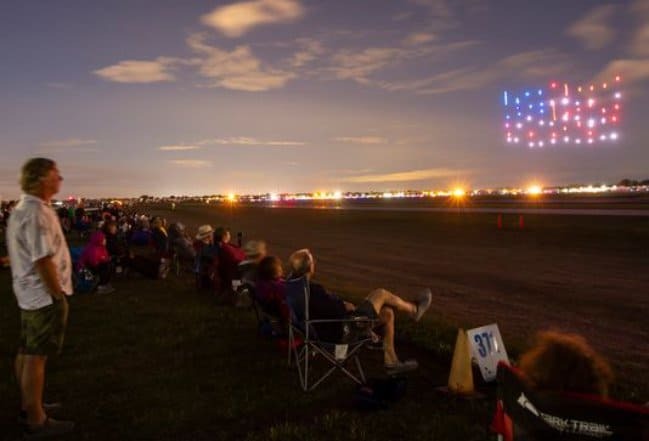 How far away can you see Drone Light Shows? 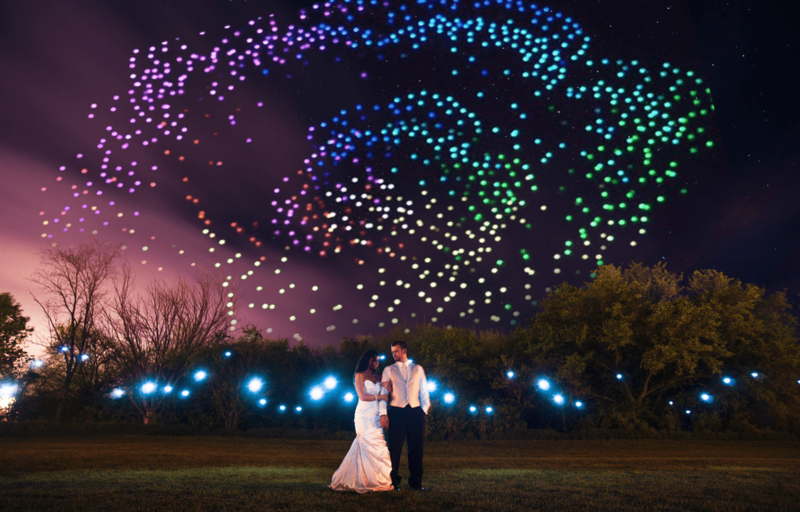 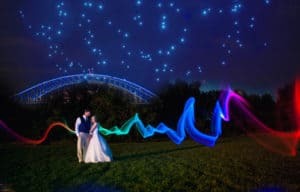 Drone light shows at a wedding?